Tiles are an architectural staple of society and make for a great classroom project. They are accessible for students who have never worked with clay, are learning a new surface décor skill, and even for working collaboratively. Learn some (low tech) tips and tricks for making tiles (and firing) with your students from a local legend and tile master, and make some yourself! The use of bright colors and intricate, decorative images are second nature to Duluth potter Karin Kraemer. With Karin as your guide, learn about the various approaches to Majolica and expand your knowledge about this glaze tool. Turn the surfaces of your wares into vivid canvases. This workshop will include hands-on time! Glaze—full of mystery and madness! What makes this necessary aspect of the ceramic process so magical and so overwhelming? 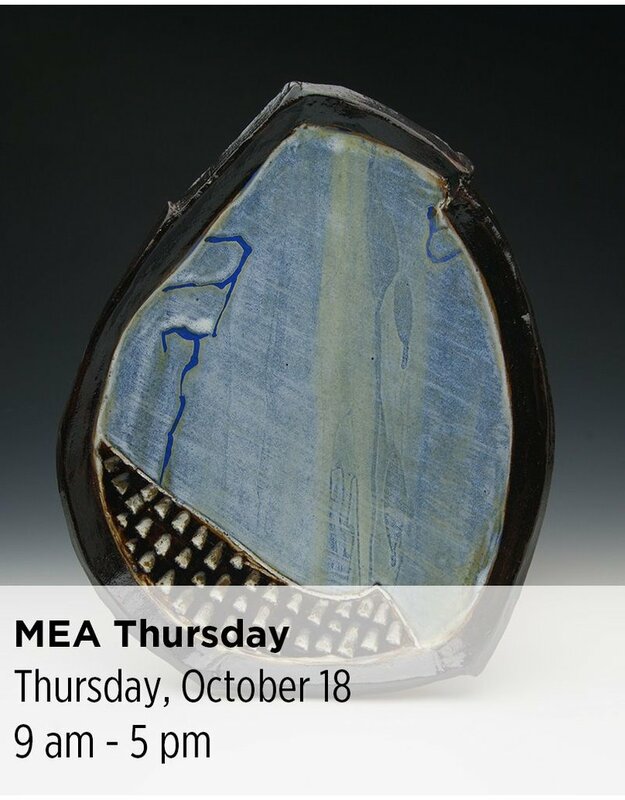 Learn about the chemistry of color and the reactive effect heat has on different materials with Joel Froehle—potter, sculptor, and master of minerals. Glean information for your own studio glazes. Leave with knowledge you can pass along to your students!